Eriez Magnetics Europe Ltd will be present at the RWM 2014 exhibition, to be held between 16–18 September at the NEC (National Exhibition Centre) in Birmingham, UK. 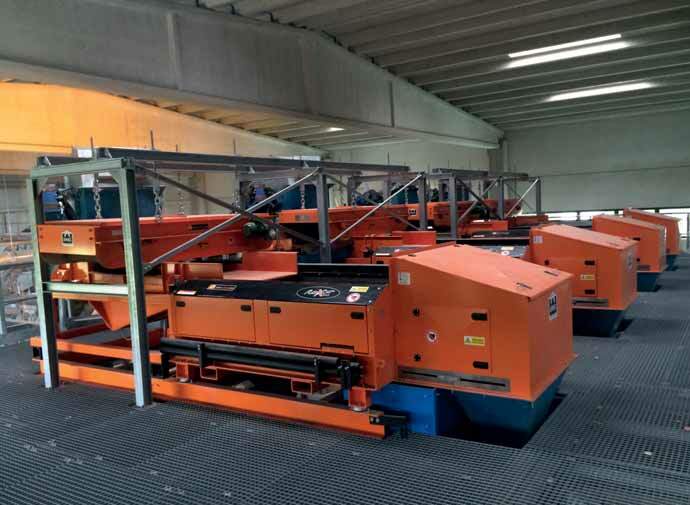 There, it will demonstrate new developments with its range of eddy current separators(ECS)RevX-E. Thisadvancedequipmentwillenable waste processors to achieve an extremely high level separation of nonferrous material from waste material fines. Eriez’s eddy current separator (ECS) RevX-E achieves significantly greater separation of valuable nonferrous metals than existing market-leading products and can be applied to a wide variety of mixed waste streams. It enables materials recycling facility (MRF) operators to optimize revenue and profit from fines material waste. Eriez has developed two rotors for fines separation: the ST2 for materials typically above 25mm in diameter and the ST22 model for particle sizes less than 25mm. The eddy current separator ST22 model is at the forefront of nonferrous metal separation. Combining an ultra-thin carbon-fibre shell, advanced magnet circuitry and specially designed splitter plate, Eriez Rev-X-E ST22 Eddy Current Separator achieves the highest grade of separation for fines nonferrous metals in the industry today. “Visitors to RWM 2014 are invited to bring their samples of fine waste materials for testing on our RevX-E eddy current separator. Customers are also welcome to send their samples to our facilities in Caerphilly, South Wales, so that we can run tests andprovidethemwithanexpectednonferrousrecoveryrate. Please contact Eriez to book arrangements. Eriez will also display its new Rare Earth Overband Magnetic Separator, the CP RE, which is 60% lighter than conventional model, maintaining the same magnetic separation characteristics of the standard overband magnet. Another standard piece of equipment, the Prograde magnetic drum, will also be on the stand. This ferrite drum is a part of the Eriez Prograde range and is available off-the-shelf. Visitors to RWM 2014 can also see two examples of Eriez metal detection range with the EZTEC 9100 metal separation station which is ideal as a last chance cleaning station and the MA3500 metal detector, part of Eriez’s Metalarm range used for machinery protection such as granulators and shredders and quality control. Eriez Magnetics is recognized as a world authority in separation technologies. The company’s magnetic lift and separation, metal detection, x-ray, materials feeding, screening, conveying and controlling equipment have application in the process, metalworking, packaging, plastics, rubber, recycling, mining, aggregate and textile industries. Eriez manufactures and markets these products through 12 international facilities located on six continents. Eriez Europe Ltd. has its head office in Caerphilly, South Wales, UK.